Preppers understand all too well that their work is never done. There is always something to do, something to be learned, something that could one day save your life. However, we live in a civilized society–for now–and cannot exist in a constant state of continual preparation. We go to the store, to a movie, for a long drive in the countryside–how are we to be prepared when we let our guard down, are at our most vulnerable? One ingenious method is to always carry around a mini survival kit where you go. While these can often be bought, they can also be made for surprisingly little investment. 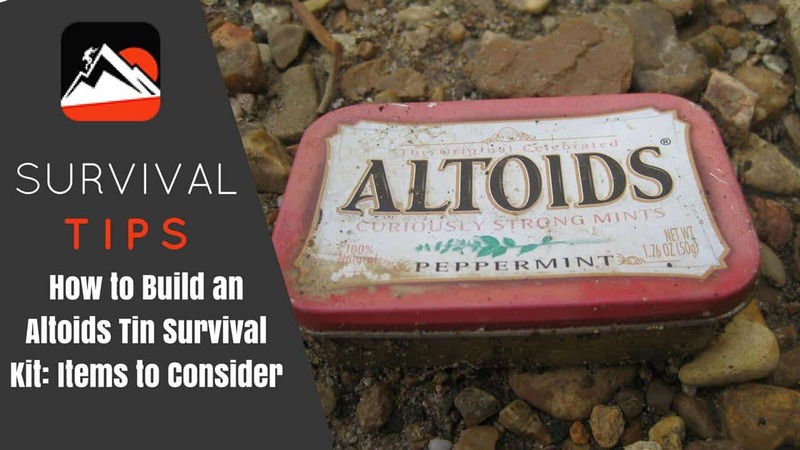 In fact, you can construct an entire survival kit which could feasibly see through a week or longer out of an Altoids tin–which you could then stick in your pocket. Keep in mind, this kit and others that you might see or read about should not be taken as gospel. 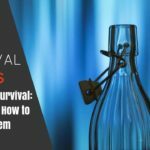 There is no such thing as a “one size fits all” survival kit. Depending on where you live, your kit may differ from one region to the next. Granted, there are a number of givens for most survival kits, but this is due to the same basic necessities shared by all people. However, regional factors hold a special importance when it comes to constructing a survival kit. For instance, if you live in or are visiting a locale that hosts a freshwater lake or river nearby, the need to obtain or purify water will likely not weigh as heavily as a region without such a supply. Similarly, if you live in a region that sees chilly nights–even if the days are sunny and warm, then the necessity of starting a fire will likely weigh less in terms of what you pack in your Altoids tin. Of course, you will still ensure that you can start a fire with relative ease and frequency, but in a region where a fire could mean the difference between life or death, you will almost certainly pack the same tin with a few redundancies in case the first one fails–ultimately taking up room that would otherwise be occupied by items which would serve alternative survival needs. Another factor that can play into a customized Altoids survival tin is the possibility of specialty. For instance, depending on the clothing you wear, it might be a simple matter to carry more than one tin at a time. In this instance, you very well could pack two identical tins to prolong your staying power on relatively short supplies. However, you could alternatively pack two different tins, each suited for different tasks. For example, a single tine could be designated as your first aid tin. 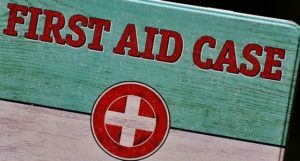 This tin would carry not only the items that you know are basic necessities for simple first air, but it could also be used to house items that, while potentially useful for first aid, ultimately serve different purposes. In the other tin, you could have items that are specialized for obtaining food and water. However, we will see once again that the items used for food and water will often be able to double up in their functions and serve for tasks that are altogether unrelated to the tin’s ostensible purpose in the first place. The longer you study and engage in prepping, the more you are liable to hear that a primary knife is the single most important survival tool you can have–and will not hear any different here. However, the issue becomes a bit trickier when talking about an Altoids survival tin. This is due to the fact that a survival knife needs to be large enough to accomplish a wide variety of tasks–not the least of which serving as one of the last stages of self-defense. This is where the Altoids survival tin can fall a bit short because the tin itself is simply not large enough to be able to house a true survival knife. That being said, there are still a wide number of other tasks that demand a sharp edge for which the smaller knives and blades that an Altoids tin could house are appropriate. Still, the first step will be identifying what kind of blade to carry. 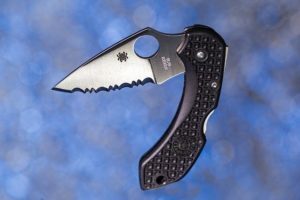 Some will suggest push knives as the best alternative since they can be wielded for most of the purposes as a survival knife while still technically offering some aid in self-defense. Loose razor blades are also a popular suggestion because they are both exceptionally sharp while exceedingly compact. The only issue with a razor blade is that without a housing they can be more frustrating than beneficial. However, because of their size, you may be able to pack both a small push knife as well as a razor blade in your Altoids survival tin. Despite the use of fire starting materials as an example earlier, fire will still be one of your primary needs if you end up needing to rely on your Altoids tin survival kit for more than a day or two. 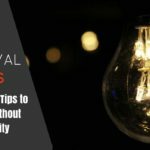 In fairness, you will likely rely on the fire starting elements of your kit first and foremost before the other methods if you find yourself using it at night. That being said, there are numerous fire starting tools and components that can all be carried quite compactly such that you should more than likely be able to carry around a couple redundancies in case anything happens to your first and preferred option. This first option, by the way, should be some form of flint and striker. The reason for this is manifold. For one, the flint and striker are unlikely to fail that matches may. Even waterproof matches are still dependent on the integrity of their shaft. Just because the match may light in wet weather does not mean that the wood will not break off when striking it. However, flint and strikers have the additional benefit of having multiple uses. In fact, you get a high-quality flint and striker you should be able to strike the flint hundreds of times before having to replace it. Even if your waterproof matches light, they are still only single use. Finally, the flint and striker combo is superior because it ultimately generates hotter temperatures–if for a shorter amount of time. The sparks that a quality flint and striker generate will light a wider variety of tinder, including greater thicknesses and moistures. Of course, it is important to make sure that you “flint” is actually a Ferro rod and not actually flint for this to be true. No matter how well prepared your tin may be, it will not last you that long in the wild. If it can, you are likely well-trained and learned enough to not actually need the tin in the first place. That being said, one of the most important categories of item that any survival tin should have is signaling and navigation so that you can either find your way to help or aid those who might otherwise be looking for you. 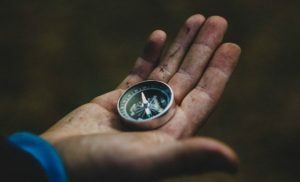 The navigation element is simple, a compass is the only item that is generally small enough to fit without taking up too much room. This is definitely one of those categories where a couple redundancies will not hurt–especially on the signaling front. For auditory, a small, but high-pitched, whistle is advised. Keep in mind, the tin itself can actually be used for this purpose. That is why it is often advisable to actually separate the top of the tin from the body and hold it in place with numerous, high tension rubber bands. For one, the rubber bands themselves can actually be used for a whole host of tasks. Moreover, the rubber bands will actually be better at keeping the lid shut and can be used to help provide a water-resistant seal. However, the tin can be used as a signaling device during the day time. If you want to double up, you can also wrap the top of the tin in one or two layers of aluminum foil. 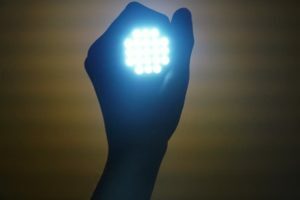 Aside from the fact that the foil will provide another method of reflecting light as a signal, it can then be removed and used for a number of tasks as well. 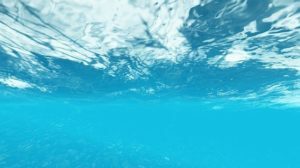 Water and the following entry on our list, first aid, can actually be seen as a “4A” and “4B” situation where both of them are vitally important to survival. However, you will always need water whereas you may not always need first aid. As such water will ultimately be a higher priority when packing your Altoids survival tin. One important thing to remember about water is that its survival functions often comes in two phases: collection and purification. The second factor is actually the easiest to plan for in this instance. The obvious method is boiling the water. 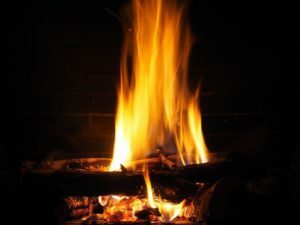 Considering you will likely have one or more methods of starting a fire, this is a safe bet–though this requires some type of inflammable material, maybe an aluminum foil boil. If nothing else, you can always use one of the various types of water purification tablets. Collecting water, on the other hand, can be a bit trickier. Of course, this point is somewhat moot if you are located near a source of clean freshwater. If you are not located near freshwater, then one of the easiest ways to collect it is with a plastic bag. Of course, this will still be a bit of a time-consuming process, and should not be relied upon to sustain for long periods of time–especially considering the plastic bag is unlikely to be that large unless you wrap it around the outside of the tin and secure it with the rubber bands. This will also add to the water resistant factor. If something truly terrible happens while you are hiking, like you break your leg, there is little to no way that you can carry the necessary items to provide an adequate “fix” in an Altoids tin. 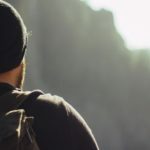 Some people recommend carrying a twist of paracord, though that will often take up too much space to be worth it–even if paracord is one of the most infinitely useful survival items available. Moreover, you will likely have some type of wire or line that can substitute in a pinch. Instead, this category should cover some of the bases of lesser issues you are liable to face in a survival situation. For instance, as bad as a broken leg may be, it is just as easy to develop an infection from a minor cut that does just as much damage in the long run. That is why some of your primary first aid supplies should be antiseptic wipes and bandages. The next type of items will come in pill form. 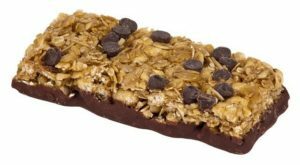 These include some form of anti-inflammatory and an anti-diarrhea medication. This later is arguably more important than the former. It is technically possible to push yourself beyond pain, but diarrhea can lead to a vicious cycle of dehydration that poses a far greater risk. Technically, this could be argued as a lesser consideration. Of course, no proper survival kit would be without some form of dedicated light. Light can be used to signal during both the day and the night. Moreover, a bright enough LED at night can make all of your other tasks that much easier to accomplish. That being said, if worse comes to worse and you feel like adding additional redundancies to some of the other categories on this list to your Altoids survival tin, you can always rest easy simply remembering that fire is the first nighttime light source. As such, despite how convenient an artificial light source may be it is not irreplaceable. That being said, there is little reason that a standard Altoids tin survival kit would not include a small LED light. These lights can be exceptionally small at about the width and length of your thumb and come in at about the thickness of two quarters. Make sure to get an LED that runs on replaceable batteries as well. Moreover, additional batteries for an LED light can also be used to help start a fire so long as you also make sure to keep a pack of gum with aluminum foil wrapping on you. In this way, you should definitely be able to justify the light and battery occupying the space in your tin. If you are turning to your Altoids survival tin to assist you in securing food, straights are indeed dire. A survival tin is truly only designed to help you tough it out long enough to either find your way to more supplies or to be rescued in the event that something bad has happened. That being said, there are actually a number of items that you can pack which will actually help you obtain food. Keep in mind, these items are all reliant on some type of fish or game being readily available. Moreover, there really is little substitute to simply learning about the region you are in and being able to successfully forage. Aside from the fact that this is often easier in both time and effort, it is also less likely that the edible plants you could forage will carry a disease that can seriously threaten your life. In terms of the items you will want to pack for food provisions, the two are fishing and trapping supplies. The trapping supplies will boil down to snare wire. Keep in mind, snare wire can be specially made for this purpose while serving other functions. Alternatively, wire for other purposes could serve this function too. For fishing, you need line and hooks. Some may suggest you need weights, but a small pebble can technically function in this capacity. This is the category where everything else that could come in handy goes. For instance, if you decide to pack paracord–or somehow find a way to fit it in while satisfying the other categories, this is the grouping it most properly fits in. To be fair, odd and ends is generally made up of two types of items: the overly specialized and the exceedingly versatile. For the first, things like sewing needles come to mind. 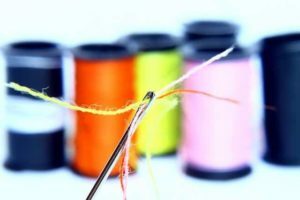 While technically you can use sewing needles for a number of survival tasks, chances are that you will primarily use them to sew something. While it could be clothing, it might also be a wound. Make sure that these needles are magnetized to help you avoid losing them. Another somewhat specialized item would be a safety pin. Again, while you can find other uses for it, the safety pin is most likely to be used to repair straps or clothing. Some of the versatile items could include the aforementioned aluminum foil. 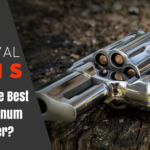 If you can, you should carry around one to two feet of aluminum foil. Nylon string is also an effective and versatile item. Aside from being used for sewing clothing or yourself, it can also be used for constructing shelter without taking nearly as much space as paracord. These are just a few examples and ideas of items that you can pack into your Altoids survival tin. However, there are many other items that can also be included. A small magnifying lens is quite popular as are candles, a commando wire saw, and alcohol soaked fire tabs. You should also keep a piece of paper with important names, numbers, and information on it. Moreover, all of the items described in this guide can fit in a single container. Still, it is important to remember that even the most complete Altoids survival tin is not designed to sustain you. As such, just because you have the tin does not mean you should rest easy if you find yourself in a situation to need it. Instead, your first step should be to assess your situation and figure out a plan to resolve it. The tin is simply designed to present a handful of items that will help you out along the way.